Green lab tips to reduce laboratory waste, use green chemistry, conserve water and save energy for scientific researchers. 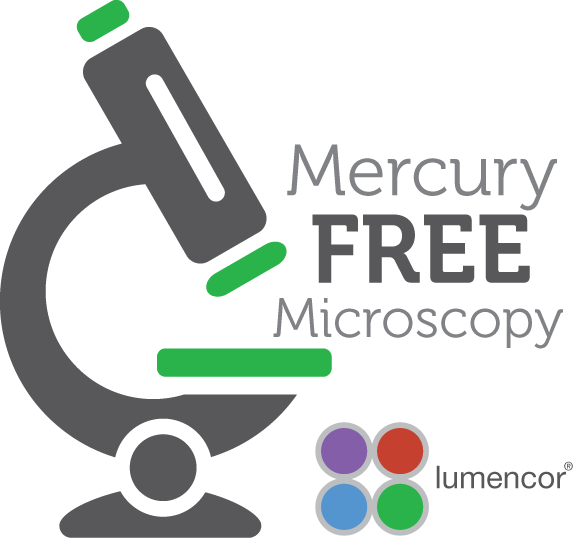 Replace your mercury lamp fluorescent microscope light source with a Lumencor light engine, to exceed the spectral properties of the mercury arc lamp, save energy and eliminate hazardous mercury. The vibrant color of turmeric has made it useful since ancient times as a cooking spice and clothing dye. There has been much interest in researching it’s potential as a disease therapy. This research focus has prompted labs to apply this low cost, non-toxic substance to tissue staining (1) and bioimaging (2) studies. While turmeric has not been certified by the Biological Stain Commission just yet, studies have demonstrated some good potential to replace synthetic dyes. New England Biolabs and Labconscious invite life scientists and sustainability professionals to attend our Go green! Innovative practices for laboratory waste symposium. Science funding productivity and changes to worldwide recycling markets have been trending topics this year. Attend our symposium and get up to date on new solutions with environmental and economic benefits for life science work. Not every scientist realizes that going green in the lab is not just eco-friendly,…it also improves scientific work! Informed scientists understand that green lab operations are designed to save time, while reducing the environmental and financial costs. Check out the latest outreach events! Coomassie blue protein gel staining began in the 1960s, and it’s still a fan favorite in biology labs today. While less sensitive as a colormetric method than silver, or fluorescent staining, Coomassie has undergone a significant revolution in recent years. This post presents a few handy tips for this essential life science pigment. Many scientific facilities are directing their scientists to utilize lab supplier recycling programs to help meet their sustainablility goals. The following list, with links, is meant to be a quick reference. It may be incomplete. Please send us the name of any other recycling program that you know of, and we will update this list. A great advance in DNA synthesis efficiency has just been reported in Nature Biotechnology, that also eliminates solvent hazardous waste requirement. Scientists from CU Boulder's Biochemistry Department are now saving over $250,000 yearly from their research budgets, by using a shared cell culture facility, instead of individual lab cell culture spaces. It's a spectacular result and it makes sense! View a list of four options for used laboratory equipment....Plus get inspired by George Washington Carver, an American botanist and early environmentalist. His epitaph reads "He could have added fortune to fame, but caring for neither, he found happiness and honor in being helpful to the world". Not only is going green good for the environment, but it's also good for science funding. This CU Boulder case study shows that shared equipment makes cell culture work more convenient, economical and environmentally friendly. As more scientific researchers are becoming aware of the economic, environmental and safety benefits of green procurement, reliable systems are needed to make so called "green procurement" easy to accomplish. It is well known that putting sustainability upfront is the key to its success in laboratories, and all work places. That's just why the U.S. General Services Administration (or GSA) provides a comprehensive online resource for green purchasing by federal agencies, called the GPC - Green Procurement Compilation.